You are at:Home»Scenery»Imaginesim Announce KLAX! 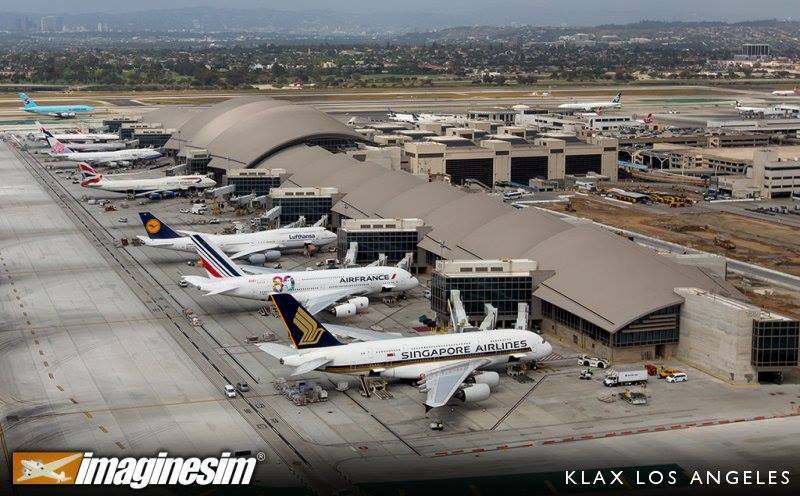 Following hot on the heals of their Singapore scenery, Imaginesim announced the development of a scenery package for KLAX Los Angeles International Airport! “In 2017, LAX handled 84,557,968 passengers, making it the world’s fifth busiest and the United States’ second busiest airport following Hartsfield-Jackson Atlanta International Airport. As the largest and busiest international airport on the U.S. West Coast, LAX is a major international gateway to the United States, and also serves a connection point for some passengers traveling internationally. Previous ArticleJust Flight Avro Vulcan B Mk2 New Previews! Next Article QualityWings Ultimate 146 Out for P3D V4!